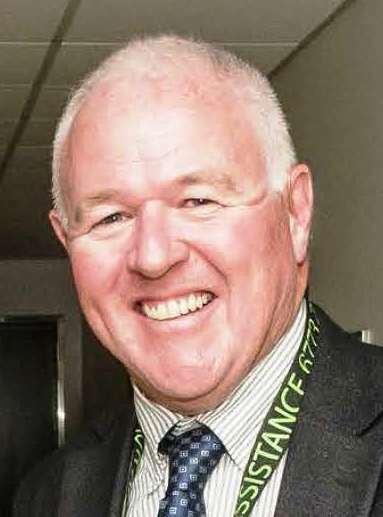 Professor Doherty is the previous Head of School of Rural Medicine at the University of New England and a Conjoint Professor at the University of Newcastle. He graduated from UNSW in 1989 with his medical degree. He has a PhD from the University of Newcastle (2009) and is a Fellow of The Australasian College for Emergency Medicine (1998). He has worked in critical care medicine, mostly emergency medicine and intensive care at Tamworth Rural Referral Hospital. He is formerly the Deputy Director and then Director of the University Department of Rural Health and Rural Clinical School of the University of Newcastle. During his time as Director there was large and sustained growth in student placements across the rural network and an increase in disciplines providing placements. During his time as Director the UDR/RCS secured substantial capital grants for the Manning and Peel Education Centres. He has a long history and interest in education and developed innovative learning experiences such as Wilderness Medicine Week and Trauma Week. He has interests in emergency medicine, critical care medicine, sports medicine and medical history. He has represented Australia as part of the Docceroos, the Australian Medical Football Team that participates in an annual World Cup of Medical Football Teams. With the advent of a "Masters" version of this event he is the inaugural captain/coach of the Australian side to compete in Brazil in 2014. He continues to coach football at club level having previously coached for Northern Inland Academy of Sport and Northern Inland Football. He is a strong advocate of exercise being a cornerstone of health. He is the author of 2 non-medical books with a third nearing completion. He is married to Claire and has four children. Reviewer for The British Medical Journal, Cochrane Collaboration, International Journal of Healthcare Quality Assurance, Emergency Medicine Australasia, International Journal of Rural and Remote Health, Australian Health Review. Therapeutic Guidelines Writing Group: Marley J, Cameron P, Conway J, Doherty S, Glover A, Hayes J, Isbister G, Rogers I, Starr M, Taylor S, Tchernomoroff R, Watts R. Emergency Medicine Expert Group. Therapeutic Guidelines: Emergency, Version 1, 2008. Online textbook. Therapeutic Guidelines Writing Group: Emergency Medicine Expert Group. Therapeutic Guidelines: Toxicology and Wilderness, version 2: Moulds R, Brett J, Buckley N, Conway J, Doherty S, Green J, Isbister G, Kilroy G, McCoubrie D, Macleod D, Patterson A, Rosengren D, Tchernomoroff R.
National Institute of Clinical Studies. 2011, Emergency Care Acute Pain Management Manual, NHMRC, Canberra. Authors: Doherty S, Acworth J, Taylor S, Bennetts S.
Doherty S. Evidence-based implementation of evidence-based guidelines. International Journal of Healthcare Quality Assurance 2006;19(1):32-41. Doherty S, Jones P, Stevens H, Davis L, Ryan N, Treeve V. "Evidence-Based Implementation" of Paediatric Asthma guidelines in a Rural Emergency Department. Journal of Paediatrics and Child Health 2007;43:611-616. Doherty S, Davis L, Leschke P, Valpani A, Whitely E, Yarnold D, Stevens H. Automated versus manual audit in the emergency department. Int J Health Care Qual Assur 2008;21(7):671-678. Doherty S, Jones P, Davis L, Ryan N, Treeve V.Evidence-based implementation of adult asthma guidelines in the emergency department. A controlled trial. Emerg med Australas 2007;19:31-38. Doherty S. Prescribe systemic corticosteroids in acute asthma. BMJ 2009;338:b1234. Doherty S. Use of ipratropium bromide for acute asthma. Emergency care evidence into practice series 2006. National Institute of Clinical studies. Available at http://www.nhmrc.gov.au/nics/asp/index.asp? Doherty S. Evidence-based medicine. Arguments for and against. Emerg Med Australas. 2005;17:307-313. Doherty S. The history of evidence-based medicine. Oranges, chloride of lime and leeches. Barriers to teaching old dogs new tricks. Emerg Med Australas. 2005;17:314-321. Doherty S, Knott J, Bennetts S, Jazayeri M, Huckson S. National project seeking to improve pain management in the emergency department setting: Findings from the NHMRC-NICS National Pain Management Initiative. Emerg Med Australas 2013:25:120-126. (Article first published online: 6 Dec / DOI: 10.1111/1742-6723.12022. Hansen K, Thom H, Rodda H, Price M, Jackson C, Bennetts S, Doherty S, Bartlett H. Impact of pain location, organ system and treating specialty on timely delivery of analgesia in emergency departments. Emerg Med Australas 2012;24:64-71. Gaw M, Doherty S, Hungerford P, May J. When Death is Imminent. Aust Family Phys 2012;41:8:614-617. Doherty S, Hungerford P, Beeney L. Emergency medicine registrars and perceptions of rural practice. Emerg Med 1997;9: 101-104. Doherty SR, Curran SW, Hore CT. Inpatient mortality as related to triage category at three NSW rural base hospitals. Emerg Med 2003;15(4):334-340. Doherty S. Application of the National Triage Scale is not Uniform. Aust Em Nurs J 1996;1: 26. Doherty S. Lies, damned lies and EDIS data: statistics built on sand. Emerg Med 1999;11:197-199. Doherty S. Triage in casemix funding. Emerg Med 1998;10: 327-9. Harradine P, Williams S, Doherty SR. Neuroleptic malignant syndrome: Clinical variation in the elderly and chronically ill. Med J Aust 2001; 174(11):593-594. Doherty S. History, pathophysiology, clinical presentation and role of hyperbaric oxygen in acute carbon monoxide poisoning. Emerg Med 2000;12:55-61. Doherty S, Cave G, Harvey M (2012). Paediatric amitriptyline overdose. Open Journal of Pediatrics(2), 170-174. doi: 10.4236/ojped.2012.22028. Doherty S, Could we care for Amillia in rural Australia? Rural and Remote Health (Online) 2007, 7:768. Donald KJ, Doherty SR, Shun A. Duodenal perforation: An interesting case report. Emerg Med Australas 2005;17(1):46-48. Semmonds AK, Doherty SR. Retropharyngeal haematoma after thrombolysis, an unusual cause of airway obstruction. Emerg Med 2001;13(4)251-254. Doherty SR. Fatal pneumococcal waterhouse-Friderichsen syndrome. Emerg Med 2001;13(4):237-239. Cable GC, Doherty S. Acute carbamate and organochlorine toxicity causing convulsions in an agricultural pilot: A case report. Aviat Space Environ Med 1999;70:68-72. (finalist for "best paper" published in this journal in 1999). Doherty S. Boerhaave's syndrome complicated by tension pneumothorax. Emerg Med 1996;8: 25-28. Doherty S. Tools of the Trade. Emergency Medicine Australasia 2004;16(3):240. Doherty S. So this is Christmas Med J Aust 2001;175:585-586 (Winner of the MJA Christmas competition for narrative piece). Doherty S. There was something about Mary Med J Aust 2001;175; 558. Doherty S. Meeting the enemy. Emerg Med 2001; 13(3): 381-382. Doherty S. Mooki And Ben. Ann Em Med 2000;35:311-312. Doherty S. The "Medicine" of Shelley and Frankenstein. Emerg Med 2003; 15(4):389-391. Doherty S, Evaluation of Implementation of Clinical Decision Rules in the Emergency Department.Stiell IG, Bennett C Acad Emerg Med 2007 Oct 8. Faculty of 1000 Medicine, http://www.f1000medicine.com/article/id/1092274/evaluation . Harradine P, Williams S, Doherty SR. Neuroleptic malignant syndrome: Clinical variation in the elderly and chronically ill. (letter – in reply) Med J Aust 2001,175:501 (contribution acknowledged in e-mail correction). Doherty S, Semmonds AK. Tracheostomy the only safe option (in reply) Emerg Med 2001 (4): 479. Doherty S. Carbon Monoxide poisoning (in reply). Emerg Med 2000 (4) 357-358. Doherty S. The hospitalist: a third alternative. Med J Aust 2000;173:220. Doherty S. Oesophageal Rupture. J Accid Emerg Med 2000;17:154. Doherty S. Carbon monoxide poisoning. J Accid Emerg Med 2000;17:154. Doherty S. Ceiling fan injuries: The Townsville experience. Med J Aust 1999;171:54-55. Doherty S. A quality management intervention to improve clinical laboratory use in acute myocardial infarction. Med J Aust 1999;171:222. Doherty S. Hameatometra and haematocolpos in a teenage girl. Emerg Med 1999;11:197. Doherty S. The changing pattern of self poisoning in Hong Kong over 9 years. Emerg Med 1997;9:82. Doherty S. When in doubt swab the snake! Emerg Med 1996;8:99. Doherty SR. The Lion King. Med J Aust 2004;712. Doherty SR, Hungerford MM. Christmas in the ED. Med J Aust 2001;175:651. The Eugenists- working title (a novel) at press. Doherty S. Evidence-based implementation of evidence based guidelines (Poster presentation) Abstract published in proceedings: National Institute of Clinical Studies Guidelines Symposium (Peer reviewed meeting), Melbourne, October 19 October 2006. Doherty S. Evidence based implementation of evidence-based guidelines. (oral presentation) Change Champions Seminar. Adelaide 15-16 June 2006. Doherty SR, Jones PD, Stevens HJ, Davis L, Ryan NJV, Treeve V. An "Evidenced Based implementation Strategy" that improves the evidenced based care of Paediatric asthma in a rural emergency department. (Oral Presentation RACP meeting Cairns 9/5/2006) Conference Abstract published in Journal of Paediatrics and Child Health 42(11) 2006 A4-5 2006. Doherty S, Davis L, Leschke P, Valpiana A, Whitley E, Yarnold D, Stevens H. Automated data collection – Does it tell you what you want to know? The College of Emergency Medicine Inaugural Scientific Conference, 14-16 May 2008, London. Oral presentation. Doherty S, Davis L, Stevens H, Treeve V, Jones P. Evidence-based implementation of asthma guidelines in the Emergency Department. The College of Emergency Medicine Inaugural Scientific Conference, 14-16 May 2008, London. Poster. Doherty S. Results of evidence-based implementation programs across a spectrum of rural hospitals. ACEM Winter Symposium Queenstown, NZ. July 2005. Doherty S. Results of evidence-based implementation programs across a spectrum of rural hospitals. Rural Health Conference Tamworth August 2005. Doherty S. Using clinical practice guidelines in emergency care (oral presentation) Abstract published in proceedings: National Institute of Clinical Studies Guidelines Symposium (Peer reviewed meeting), Melbourne, October 19 October 2006. Doherty S. Barriers and facilitators to the uptake of guidelines in the ED. (oral presentation) Abstract published in proceedings: National Institute of Clinical Studies Guidelines Symposium (Peer reviewed meeting), Melbourne, October October 2006. Doherty SR. Evidence-based Implementation of Guidelines Invited Speaker Plenary Session Clinical Pathways: 'Sharing the Lessons Learnt' Seminar, Melbourne 28-29 June, 2007. Doherty S, Innovations in Emergency Department organisation and practice. The College of Emergency Medicine Inaugural Scientific Conference, 14-16 May 2008, London. Poster. Doherty S Development of an evidence-based implementation for rural emergency departments. Conference proceedings, Australian Research Allliance for Children and Youth (ARACY) National Conference 2005 'Closing the Know-Do Gap'. Doherty S Clinical guidelines in the ED - An evidence-based implementation. ACEM Winter Symposium, Queenstown, NZ. July 2005. Doherty S. The NICS project. The Australasian College for Emergency Medicine (ACEM) Winter Symposium, Newcastle, 2-4 July, 2008. Invited plenary paper. Hansen K, Thom H, Rodda H, Price M, Jackson C, Bennetts S, Doherty S. Factors influencing timely delivery of analgesia in emergency departments. (oral presentation, Asian Conference on Emergency Medicine, Bangkok, July 2011. Hansen K, Thom H, Rodda H, Price M, Jackson C, Bennetts S, Doherty S. The impact of organ system and treating specialty on timely delivery of analgesia in Australian emergency departments. Annual Scientific Meeting ACEM Sydney 22 November 2011. Doherty S. NICS/NHMRC National Pain Management Initiative Workshop. (Oral presentation) Abstract in proceedings, 27TH Annual Scientific meeting ACEM, Canberra. 25 November 2010. Doherty S. Improving Pain Management Practice in Australian Emergency Departments. Annual Scientific Meeting ACEM Sydney 22 November 2011. Doherty S. The Pain Manual. Annual Scientific Meeting ACEM Sydney 22 November 2011. Deans A, Meek R, Doherty S. Factors influencing rural versus metropolitan work choices for emergency physicians. The Australasian College for Emergency Medicine (ACEM) Winter Symposium, Newcastle, 2-4 July, 2008. Oral presentation. Wakely L, Doherty S, Ryan N. Primary healthcare physiotherapy in a rural Emergency department. Proceedings of the 4th rural allied health conference. Doherty S. Overcoming the gap in rural health. Oral presentation 23rd ASM of ACEM. Sydney 20/11/2006. Wakely L, Doherty S, Greaves J, Ryan N. Pains, Sprains and Automobile Accidents. Clinical Placement for Physiotherapy Students in an Emergency department. Australian Physiotherapy Association National Conference. Brisbane, October 2011. Smith T, Brown L, May J, Wakely L, Greaves J, Wolfgang R, Crowley E, Burrows S, Barac B, Robilliard J, Doherty S. Interprofessional Learning Modules: Making Undergraduate Interprofessional Education Clinically Relevant. 16th June 2010. Centre for Teaching and learning showcase on collaborative learning. University of Newcastle. Wakely L, Doherty S, Ryan N. Physiotherapy Students in a rural emergency department. (Poster Presentation) SARRAH conference Broome October 2006. Fraser J, Barac B, Cox S, Shaw S, Wong B, Doherty SR, Alexander C. Evaluation of a multi-disciplinary human factors course in a rural setting in Australia Abstract published in proceedings: 2nd Rural Health Research Colloquium, Tamworth 15-17 May, 2007. Fraser J, Barac B, Cox S, Shaw S, Wong B, Doherty S, Alexander C. Evaluation of a Multi-disciplinary Human Factors Course in a Rural Setting in Australia. Paper to National General Practice Education and Training Convention. Surfer's Paradise, Australia. 15-16 August, 2007. Doherty S. Syncope: Evidence-based risk stratification. Evidence review in emergency medicine conference. 25/2/2010 Terrigal NSW. Doherty S. Evidence based management of acute asthma. Evidence review in emergency medicine conference. 31/3/2011 Terrigal NSW. Doherty S. Sudden Cardiac Death in Footballers. 16TH Global congress of medicine and health in sport, 15 July 2010. Innsbruck, Austria. Doherty S. Australia's venomous creatures. 17TH Global congress of medicine and health in sport. 28TH July 2011 Manchester England. Doherty S. An evidence-based review of SKINS. 18th Global congress of medicine and health in sport. 12th July 2012 Malmo Sweden. Doherty S, Doherty C. Injury prevention Workshop for footballers. Northern Inland Football. Tamworth. 10TH March 2012. Doherty S. Overcoming the Gap" in Rural Health Abstract published in proceedings: Invited speaker Australasian College for Emergency November 2006. Doherty S. Rural Trauma: Pitfalls and pitfalls (oral presentation ACEM ASM November 2000) abstract published in proceedings Em Med 2001;13(1)A6. Doherty S. Improving mental health assessments (oral presentation) Abstract published in proceedings: Emergency Care Community of Practice ED Mental Health Interface Forum, Sydney, November 17 November 2006. Doherty S. Identifying gaps in mental health (oral presentation) Abstract published in proceedings: Emergency Care Community of Practice ED Mental Health Interface Forum Sydney November 17 November 2006. Doherty S. Mary Shelley, Frankenstein and Medicine (Oral presentation) July 2001. Tamworth in July – Radiography conference. Doherty S. Money, Morals and the conquest of mortality – a short tale of woe (Oral presentation) July 2005. Tamworth in July – Radiography conference.